In a few days from now, we will remember a day that has lived in infamy in the city of Manila. 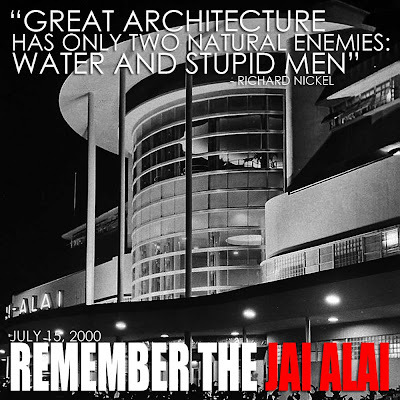 It was on July 15, 2000 that Mayor Lito Atienza ordered the demolition of one of the finest Art Deco buildings in Asia, the Jai Alai Building. 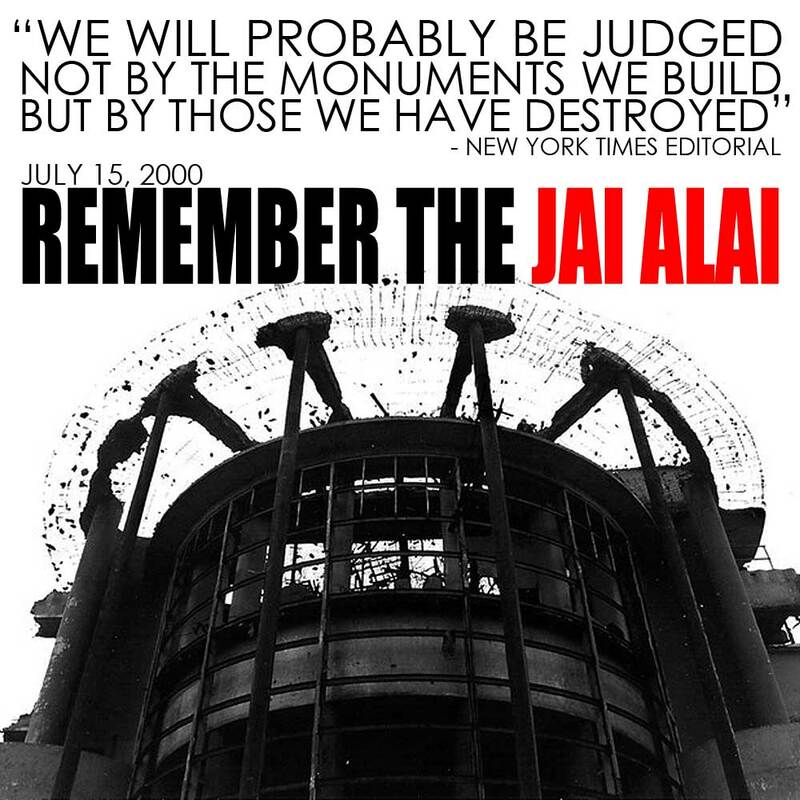 Twelve years after, heritage advocates still remember this painful episode, but have been steadfast in the fight to preserve what is left of our country's heritage as a result. We should not demolish significant heritage structures because it will destroy the character of our cities. And that is tantamount to erasing our own nation's soul. Let's all remember the Jai Alai! Let's learn from the lessons of history and ensure that we continue to pass on our heritage to future generations of Filipinos! 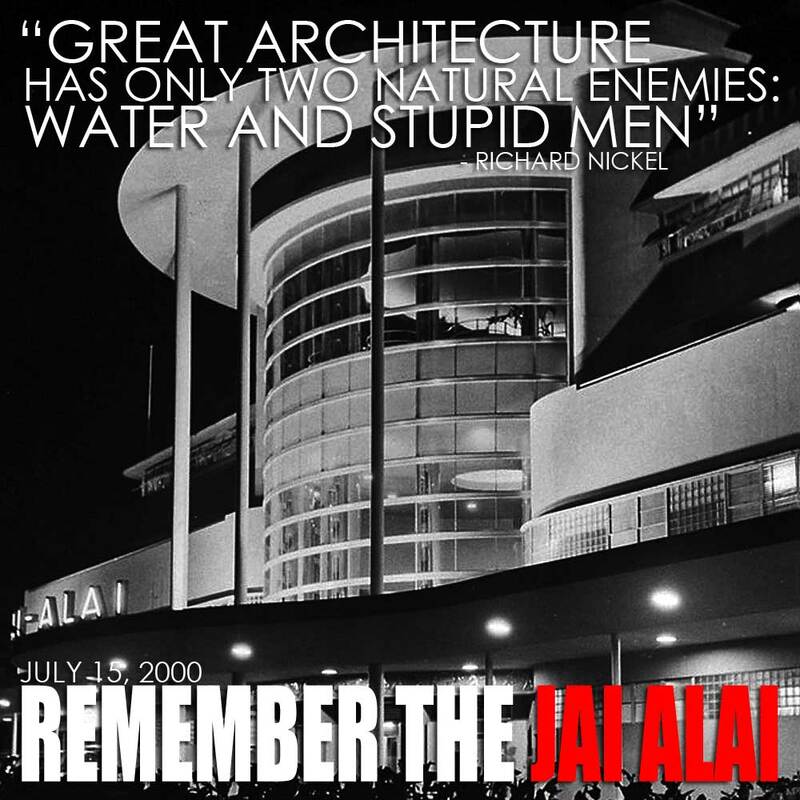 Read more about the Jai Alai demolition from an old Asiaweek article The Game's Over: A link with the past goes as Manila's Jai Alai stadium is torn down. the last time i remember seeing this impressive building was when i was on my way to the US embassy. that was almost 2 decades ago. it's very sad to see such magnificent structure go to crumbles. we're always late when we object. We have to act before it happens. I remember going there in the 70's. One of my stomping grounds.